Recently, it happened AGAIN. And I hate it when it happens. Sigh, and the reality is … it will happen again, and again, and again … alot! The funny thing is, it never happened to bother me, when I was a student. It didn’t seem to have any effect on my self confidence, as a kid. Or even on my school marks. Heck, not even my college marks! It really didn’t surface until, O, I think it was my first day working in a high school. I remember that day so well. I had gotten a job as a SEA (Special Education Assistant), and my role was to assist students with their learning. Not all students have the same learning capacity, nor the same learning style, nor speed. An SEA assists them in learning in a way, and with special materials, tools and curriculum that helps those students reach their potential. That was (is) my job. What happens when the ‘assistant’ to a student is the equivalent to Shrek in the Kingdom of Grammar? That would be me (I think I might be more fairly compared to Donkey in that kingdom). My head started swirling, my palms were clammy, my knees were knocking … all because I feared the teacher was gonna call on me to answer the question that none of the students were answering. For that endless period of time, I was back in high school … all over again, and I really wasn’t appreciating the deja vu . Being in that class, was so good for me! In that year I learned the meaning of noun, pronoun, verb, adverb and lots of other parts of speech. But, I am learning that there is still so much I don’t know … it’s amazing that I can communicate at all! Recently I learned there are two ‘O’s’. One is ‘O’, and the other is ‘Oh’, and the two have different uses (who knew?). ‘Oh’ is used as an exclamation of emotion. On the other hand, ‘O’ is used to address someone or something. The best way to differentiate them is “O God, Our Help in Ages Past”, and “O God, there’s a snake!” (so, ‘O God, Our Help in Ages Past’ would have a very different meaning … this will make you look at worship songs on your screen or monitor next weekend very differently). I also recently learned that ‘alot’ is not a word (who knew?). The correct way to go is to use it as two words, ‘a lot’ … but them it doesn’t really make sense … ‘I love chocolate a lot’ (so I love chocolate … on a lot … in a lot … so confusing). The best thing to do is to switch ‘alot’ with ‘much’ … I love chocolate … much (hum, I still think alot sounds better, and anyone who knows me, knows I do love chocolate alot). And then there is ‘ain’t’ … heck I cannot find evidence of it being a real, acceptable word, or not, it is just so confusing, some say it is and some say it isn’t (ain’t), all I have to say is that at my age, and the way I write (and talk), using the word ain’t, ain’t my problem … it’s run on sentences, and I ain’t gonna fix that one any time soon! 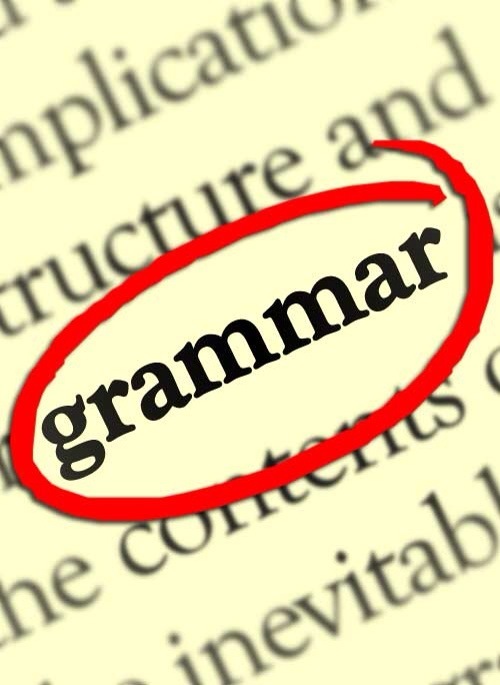 I am not an expert in grammar, and that is no surprise to anyone who has ever read even one of my posts! One thing I do know (not as a grammar expert, but as a Christian) is that worship is a verb, it is a ‘doing’ word. I’m not just making reference to my head knowledge of the word worship, but the knowledge that comes from living with a mind and body and heart and emotions that ‘do’, without conscious thought, when worshiping. When I enter into a place of worship (my back garden, my kitchen, the beach, my bedroom, on my favorite trail, and even in a church sanctuary) I am often unnerved by how my inner self responds to what is around me. My senses drink in what I see, what I smell, what I taste, what I feel, and I am led into a spontaneous act of worship. I have no control on this happening, it is my insides wanting to burst out. I feel a little about worship, like Olympic runner Eric Liddell said of running “when I worship (run) I feel His pleasure.” There is a connection to my Creator that is so deep, so innate in a way, that I have little to do with how I respond to the opportunity to worship. And that opportunity is constant, and often surfaces without warning. As I have grown I have heard of people talking about preparing for worship, which is a good idea. It is not always easy to settle into worship when you’ve just arrived at church having had the equivalent of battle royale with your toddler to get their shoes on, or had a disagreement with your spouse (which of course NEVER happens in our house ;). But I find that most times when worship begins, the magnetic-like force within me pulls me into God’s presence, whether I am prepared or not. This happens not just in a church sanctuary, but some times when I am weeding, or taking a walk, or standing on a beach, or holding one of my loved ones. J.I. Packer said, “we need to discover all over again that worship is natural to the Christian, as it was to the godly Israelites who wrote the psalms, and that the habit of celebrating the greatness and graciousness of God yields an endless flow of thankfulness, joy, and zeal.”One cannot read the Psalms and not see and feel the joy that is being expressed. Worship is an act of celebration, and whether we are participating in a room with hundreds of other worshippers or laying in our bed when we awaken and take a deep breath, it is a party worth celebrating!